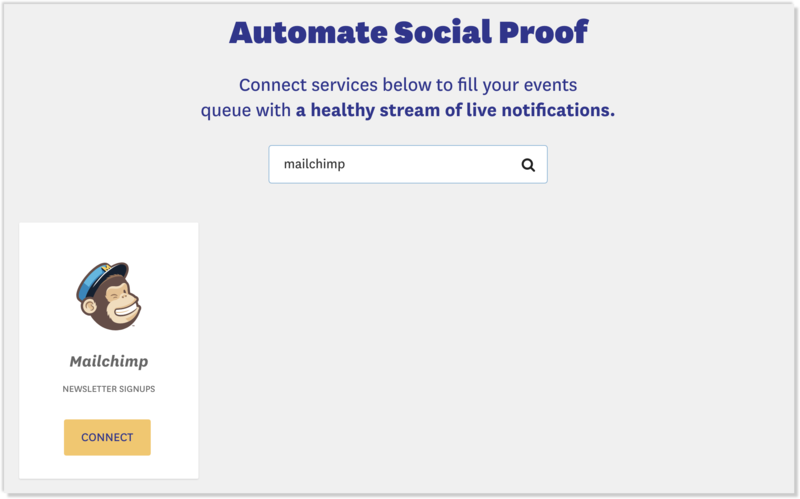 Mailchimp is the world's largest marketing automation platform. 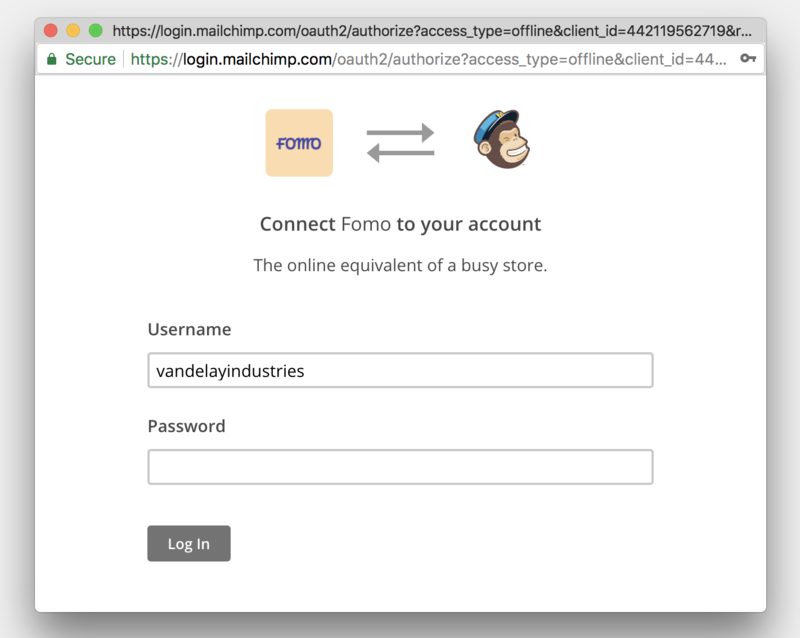 Connecting Fomo with Mailchimp is seamless, and takes just a few seconds. Inside Fomo, navigate to Integrations and search for Mailchimp. 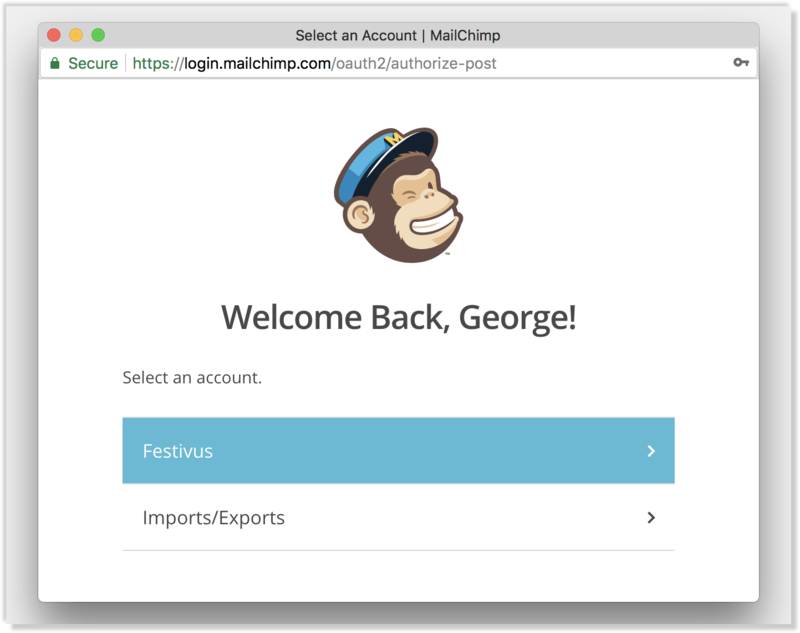 Click "Connect" and log into your preferred Mailchimp account inside the modal. Then, select a sub account (if applicable). After granting Fomo permissions to your subscriber data, you'll be returned to an integration management screen. Here you can select which Mailchimp "lists" you'd like to sync with Fomo. Toggle on 1 or more lists, then navigate to the Events tab to see recent subscribers from those lists, imported to Fomo. You're done! Feel free to customize the messaging parameters and merge variables inside Templates > Mailchimp Subscription. 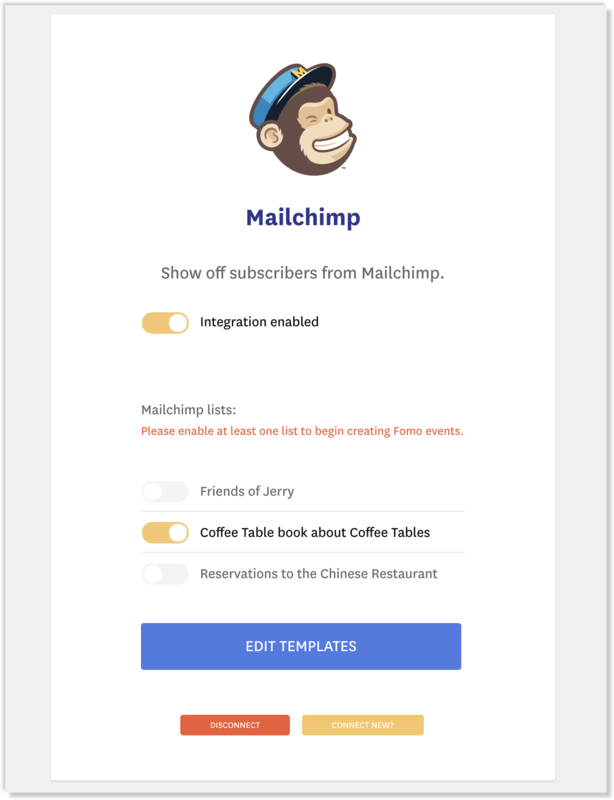 You may also rename these templates, or connect additional Mailchimp accounts and Lists by clicking "Connect New" from the Mailchimp integration page.